The Arizona Coyotes officially promoted 26-year-old John Chayka to general manager, making him the youngest GM in NHL history. The NHL has followed Major League Baseball's analytical trend in recent years, relying more on advanced statistics to evaluate players and tendencies. The Arizona Coyotes boosted their analytical abilities before last season by hiring John Chayka, co-founder of a hockey analytics firm, as their assistant general manager. The Coyotes took another, bolder step toward a "Moneypuck" mentality on Thursday, announcing that the 26-year-old Chayka has been promoted to general manager, making him the youngest GM in league history and first with a primarily analytics background. "Because of his age and the company he started, he gets painted with a very analytical brush, but what people are going to find out about John as he becomes more well-known is he's a very smart guy, a very intelligent guy," said coach Dave Tippett, who signed a five-year contract extension and will take on more responsibilities in personnel decisions. "That intelligence leads him to make sure he has a balance, where there's an analytical approach, but there's a common-sense approach." 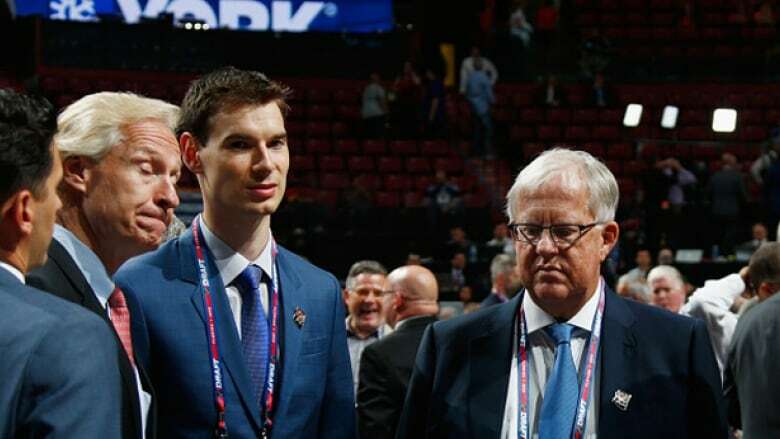 Chayka's hiring came in the midst of a front-office restructuring that started with the firing of general manager Don Maloney in April after nine seasons. Tippett has always had a say in personnel decisions and will have even more with his new role as executive vice-president of operations, focusing primarily on the professional side of the organization. Alternate governor Gary Drummond also was named president of hockey operations and the team plans to hire a veteran assistant GM before next month's NHL draft. At the centre of Thursday's announcements was Chayka. He was hired to serve under Maloney prior to last season after serving as director of hockey operations for Stathlete, a hockey-analytics firm he co-founded in 2009. Chayka was involved in all aspects of hockey operations with the Coyotes last season, providing the team with a new approach to evaluating players and performance, though not all of it was analytics-based. "This year we started that evolution of it's more about taking a different way of looking at players at times, maybe a contrarian view in looking at instances where we see something," Chayka said. "There's a lot of tools out there for people that want to be open-minded, progressive, and that's certainly one of the pillars of our approach here." Baseball has embraced analytics for more than a decade, following the sabremetric approach by the Oakland Athletics popularized by the book and movie "Moneyball." Tippett has been using an analytical approach since he first became a coach in the mid-90s, often making his calculations long hand. Now teams across the league use advanced statistics and technology to evaluate players and improve performance, looking at everything from comparing scoring chances for and against a player to the percentages that a positive play occurs based on the way a defenceman clears the puck from his own zone. Chayka will face an interesting dynamic in his new job. A month shy of his 27th birthday, he surpasses Gord Stellick, who was 30 when he was hired by the Toronto Maple Leafs in 1988, as the youngest GM in league history. Chayka is younger than 13 of the players on Arizona's roster and nearly 13 years younger than captain Shane Doan, the team's oldest player. "It's funny because I think the age can be an asset, I really do," Stellick said. "I think if you have the respect — respect is something earned regardless of whatever age you may be — and it sounds like certainly outwardly he has that in the Arizona organization."